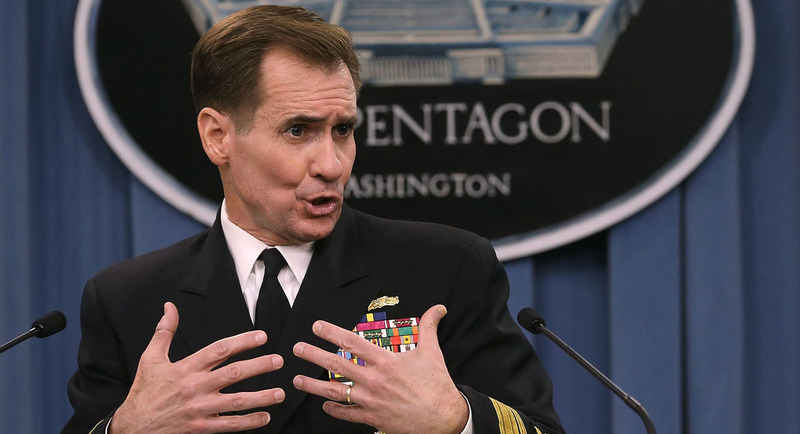 The relations between Russia and the United States are complicated, the two countries do not share views on all issues, U.S. Department of State spokesman John Kirby said Friday (July 8) at a daily press briefing. “Our relationship with Russia is complicated, and we certainly don’t see eye to eye on everything. There are areas where we have in the past and I think we’ll continue to seek cooperation with them, such as on Syria and the political process there,” Kirby said. “There are obviously still areas where there’s tension; Ukraine and Minsk implementation is one of them,” he said. “We are continuing to talk to Russian authorities about how to best move forward in Syria, to include getting a cessation of hostilities that’s nationwide and that it’s enduring. I don’t have any specific decisions to announce or speak to today with respect to greater coordination or greater communication,” Kirby said. “There’s already an avenue of communication between our Defense Department and the Russian military with respect to safety of flight and general situational awareness. As I’ve said many times before, to the degree that Russia is willing to take on fully Daesh in Syria, then that’s a conversation we continue to be willing to have,” he said. “We are in constant communication with our Russian counterparts about the threat that Daesh [Islamic State terrorist group] and al-Nusrah continue to pose in Syria and about how their efforts can be better aligned with the efforts of the coalition with respect to those two groups and to getting a cessation of hostilities that, again, can be enduring and nationwide,” Kirby said. Last week the Washington Post reported that the Barack Obama administration suggested to Russia a new military partnership in Syria, namely deepening of interaction in the fight against terrorist groups in Syria.